Introducing Beau-coup’s new gold glitter tea lights! 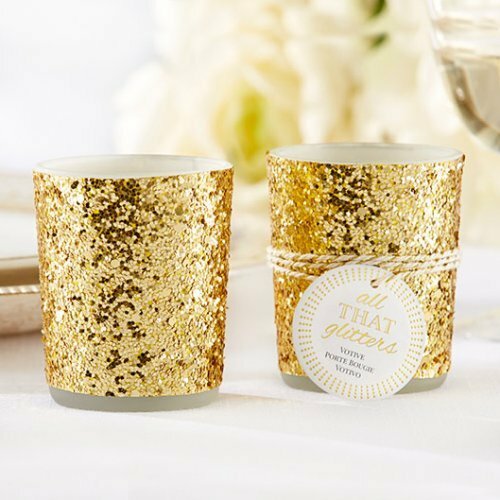 These tea light votive holders are decadently dripping in chunky gold glitter and are guaranteed to add some necessary bling to any fancy affair. We’re simply dying to pull these beauties out at our next special event. On table tops, along stairways, across the mantle… pretty much our apartment is going to be dripping in blindingly gold glitter – and we wouldn’t have it any other way!